If you’re planning a trip to Utah, whether it’s to go off-roading in the desert or to explore the state’s fantastic national parks, a stop in Salt Lake City is a must. Salt Lake City Downtown is easy to navigate on foot, making it ideal for walking tours. While the thriving arts scene makes the city a real cultural destination, as well as a great place to pick up some unique gifts, clothing and more. And, since Utah is home to the nation’s first department store, it’s only right to indulge in some retail therapy while you’re in the area. Find out more with this guide to unique shopping in Salt Lake City. One of the best Salt Lake City stores for gifts and souvenirs has to be ‘Everything Utah’. Here, you’ll find everything from local food products like honey and chocolates to keepsakes like handmade jewelry and geological minerals from the region. If you’re holiday shopping in Salt Lake City, Utah, be sure to check out the Art at the Main Gallery. Every November and December, the gallery holds a market where artists display paintings, pottery, cards and jewelry for sale. For gift ideas that will appeal to kids big and small, check out RC Planet Hobby Store. While in neighboring West Jordan, you’ll find the Smoke City Vape Shop, with everything you need and more to make your vaping loved ones very happy. If you’re on the hunt for some bargains then Outlets at Traverse Mountain offers some of the best shopping in Salt Lake City. While there are other Salt Lake City outlets, such as Tanger Outlets and a Patagonia outlet store, the Traverse Mountain mall is home to 37 outlet stores, including many well-known brands. Some of the big names include Calvin Klein, Gap, Levi’s and Nike, so it’s an ideal spot to pick up some new gym wear at the same time as some office-appropriate clothing. 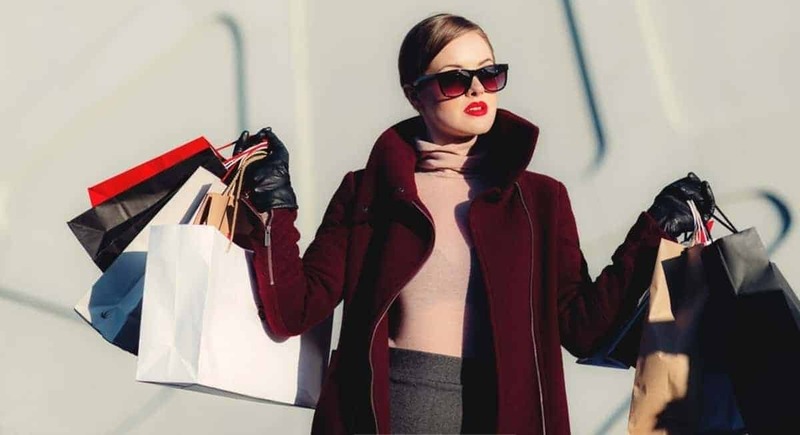 Plus, with such a great range of offers and discounts, these Salt Lake City outlets are sure to please even the most demanding shoppers. For more of a relaxing shopping experience, head to Gardner Village, located 12 miles south of Salt Lake City. As well as being a charming destination in its own right, the village is home to some of the best boutiques in Salt Lake City. Here you’ll find unique stores selling furniture, clothing, home decor, antiques, jewelry, and much more. So, it’s a great place to find items to give both you and your home a fashion makeover. Unlike a typical outdoor shopping mall, the village has a quaint rural feel and a serene atmosphere, making it the perfect location to enjoy a day of retail therapy. With a range of specialty shops, outlets and original boutiques, shopping in Salt Lake City is just another great reason to visit this increasingly popular destination. Even if you weren’t planning on going shopping, it’s only right to take home some mementoes to remind you of your Salt Lake City trip. But, if you’re not sure what souvenirs to bring home for your loved ones, check out these travel gift ideas for inspiration.